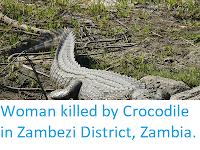 Sciency Thoughts: Crocodile kills fourteen-year-old boy near Bhitarkanika National Park, India. 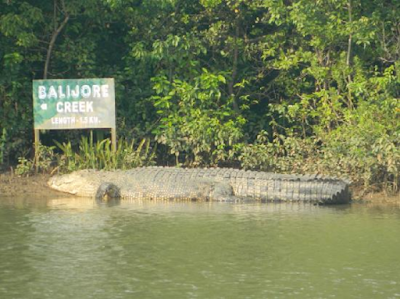 Crocodile kills fourteen-year-old boy near Bhitarkanika National Park, India. 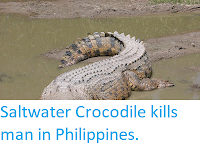 A Saltwater Crocodile, Crocodylus porosus, has killed a fourteen-year-old boy near the Bhitarkanika National Park in Odisha State, India. Srikant Sethi, from Diapari village in Kendrapara District, was bathing in the river which separates the village from the Park, in the park on Saturday 21 April 2018, when the animal emerged from the knee high water where it was hiding and dragged him in. His body has yet to be recovered, but he is not expected to have survived the incident. The park is home to a population of about 1700 Crocodiles, leading to the potential for conflict with humans. The Indian Forest Service has placed barriers along the Bramahani, Kharosotra, Hansua and Baitarani rivers in and around the park, and issued warnings to villagers not to enter the water, though it is unclear to what extent this is a realistic expectation. 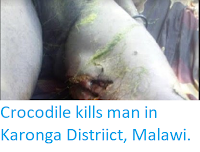 Local villagers claim an average of about six people are attacked by Crocodiles in the area each year, though the majority of these attacks go unreported, as people simply disappear. A Saltwater Crocodile within the Bhitarkanika National Park in Odisha State, India. The Park is home to a population of about 1700 Crocodiles, which are a popular attraction with tourists but problematic for local populations. Trip Advisor. 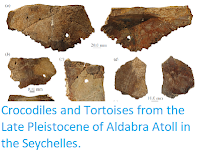 Crocodile attacks on Humans are relatively rare, but they are opportunistic ambush predators and will potentially attack anything going close to the water. Saltwater Crocodiles have a particularly poor reputation for such behaviour, being the largest species of Crocodile and notoriously aggressive. These Crocodiles are one of the few Crocodile species not considered vulnerable to extinction, being found from India to Australia and inhabiting many areas that Humans shun, such as Mangrove forests and islands without fresh water.